I’ve always believed that quilting was good therapy. But as of late, I know it. I’ve mentioned in previous posts that my husband had a debilitating stroke almost four years ago. He is now getting around in a power chair. I do love when he can wheel over to where I left the remote or can bring glasses into the kitchen when I just can't imagine leaving my comfy spot on the couch. I am making progress however. The other day I cleared off the dining room table, pitching all the junk mail out, and made a space to work with. I got took out the 8 yards of backing fabric that I ordered more than a year ago for my second project, a Craftsy quilt that is rather large. I pieced the backing fabric, and spray starched and ironed it along with the quilt top. They just need the batting, which remains rolled up in the closet. Oh, and then there is the dreaded basting. I’m not fond of this step, which is probably why I haven’t done it yet. I have only small spaces on which to work and I’ve yet to find a satisfactory way to get this done. I’m leaning toward spray basting, but I also just purchased some new curved safety pins. I have also begun working on my hand quilted project, a Dresden Plate quilt that I started ages ago. I’ve found that hand quilting isn’t as easy as I remember. I think the multiple layers of those little wedges are a deterrent, but I’m convinced that I want this traditional quilt to be hand-quilted. In just one afternoon, I broke 3 needles. This is not the way I remember it. But much to my surprise, I’ve found that physically putting the needle to fabric isn’t the only way to satisfy my quilting fix and relax my ever racing mind. In general, I’ve been watching quilting videos. In particular, I’ve been watching The Quilt Show (TQS) hosted by Alex Anderson and Ricky Tims. I had not been acquainted with Ricky, but was a big fan of Alex through her work on “Simply Quilts,” her television series several years ago that inspired me to actually make my first quilt. I consider Alex Anderson to be a quilting mentor for me. 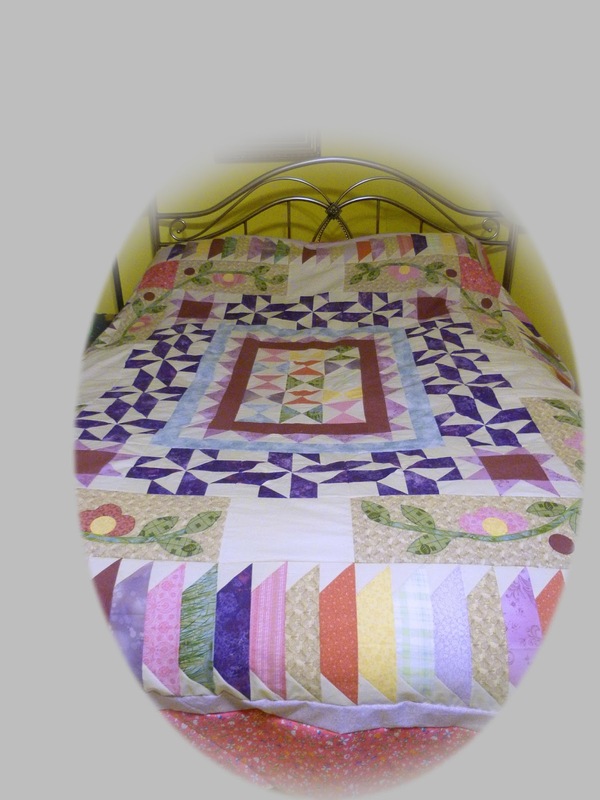 Her hand quilting is wonderful and as a 30-year quilter, she is also a wonderful teacher. I’m almost ashamed to say that even though I subscribed to TQS I had only watched a couple episodes. One day I returned to the website, already listed as a favorite on my browser toolbar, only to learn that my current subscription had run out. I hurriedly renewed it and started watching the current episode. It had the same appeal that had always endeared me to Alex Anderson, except this time, I was so intrigued by Ricky’s approach to quilting. Not only is he a renowned quilter, but he is a musician who writes and performs the kind of music I love. I found that as I binge-watched a couple episodes, I was feeling relaxed and even inspired by the wealth of information presented by so many quilt artists. I began to watch shows whenever I felt the least bit stressed. I’ve started watching from the very beginning—in 2009, season by season. 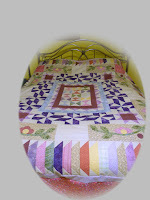 It is fun to see how far quilting has come and the myriad ideas that have and continue to shape the quilting world. Every now and then I will notice I’m watching a rerun of a show I’d already seen. No worries. It is always nice to brush up on skills, tips, hints, and trends. So even if I’m not doing as much quilting as I’d like, I still feel as though I have my hands in it, so to speak. So once again, Alex Anderson for leading the way for me. And Ricky, I love what he does as well. He brings a fresh, new, artistic approach which perfectly complements Alex’s more traditional work. Watching TQS is no longer limited to those moments when I feel a panic attack coming on. I now watch just because I love it.